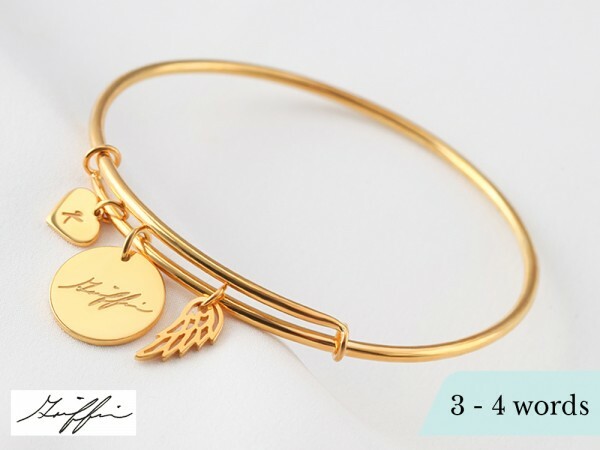 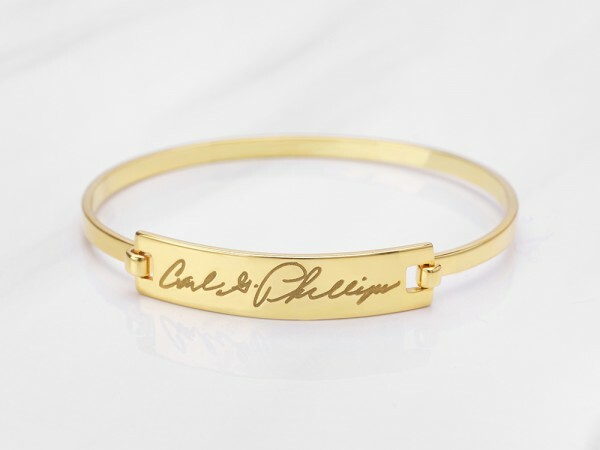 Personalize your sense of fashion with these stunning custom signature bracelets, bangles and cuffs. 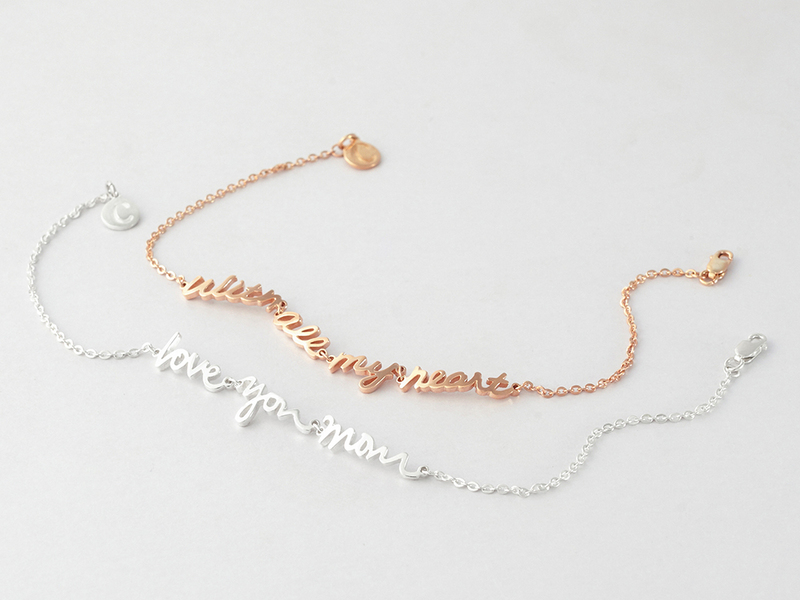 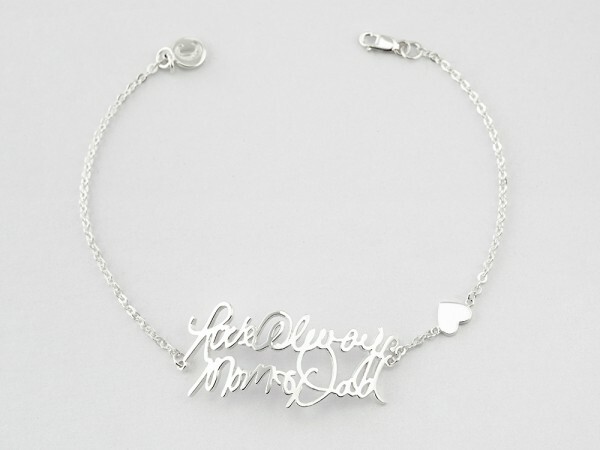 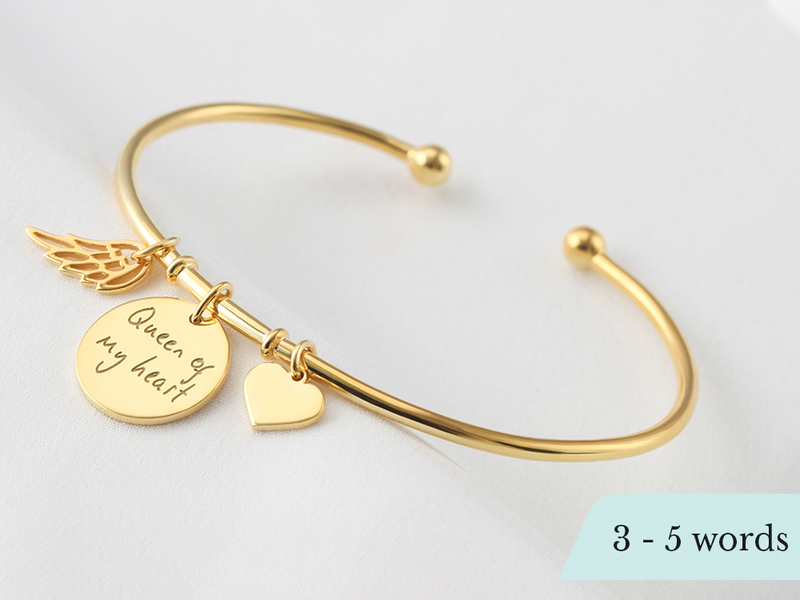 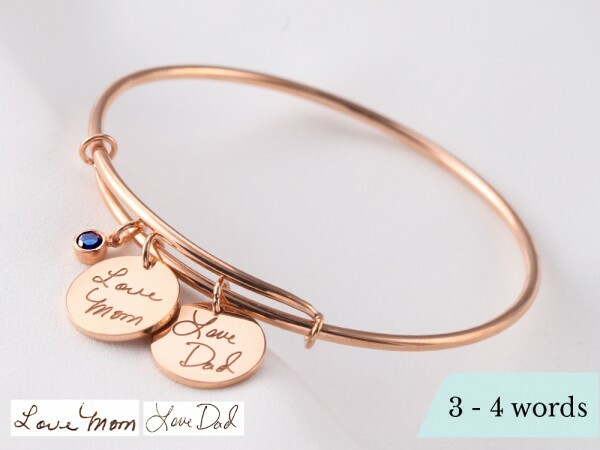 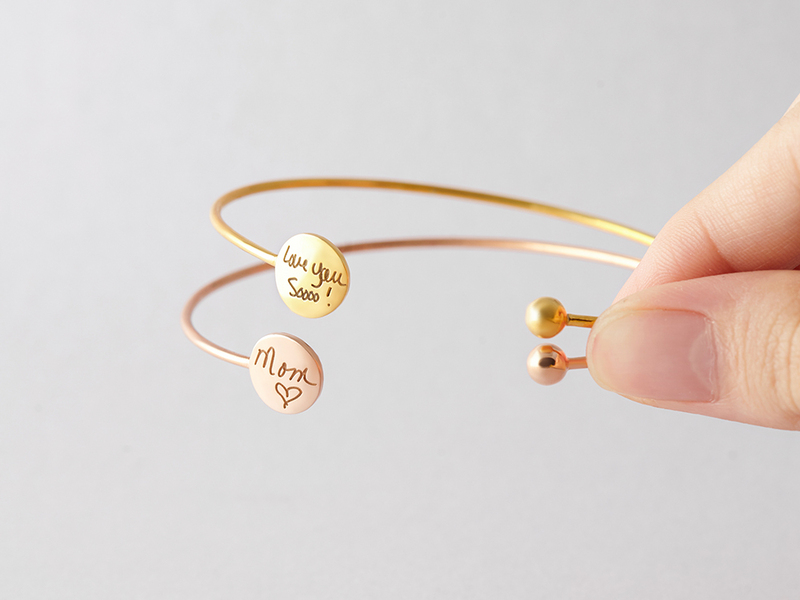 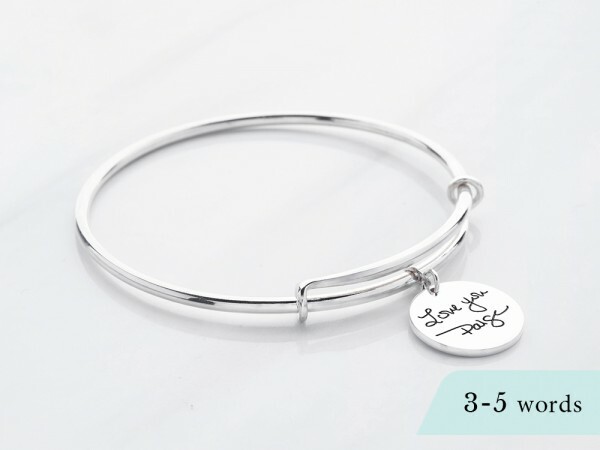 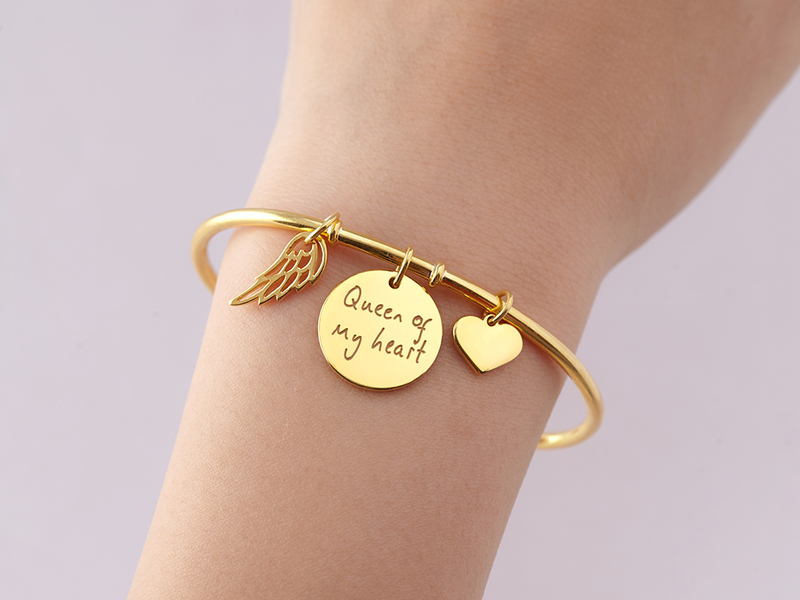 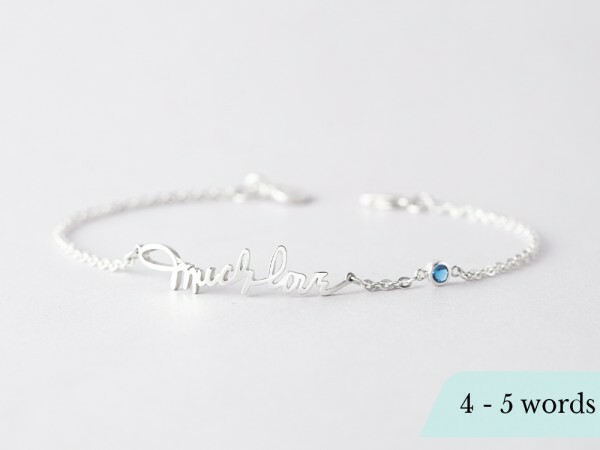 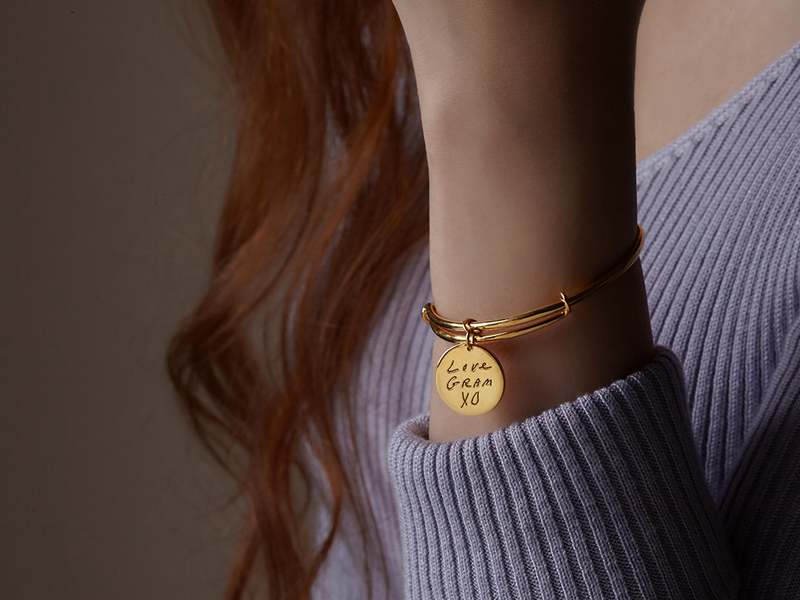 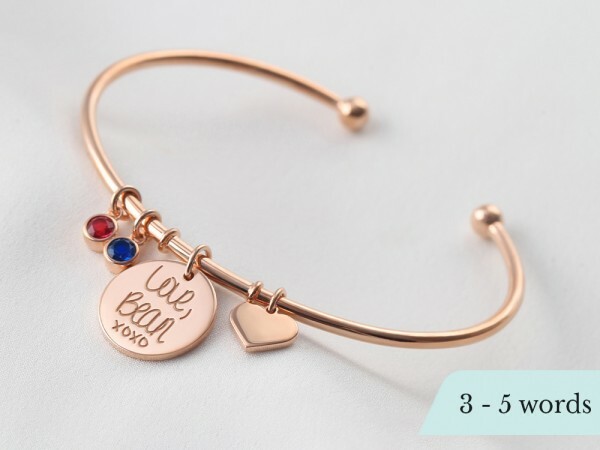 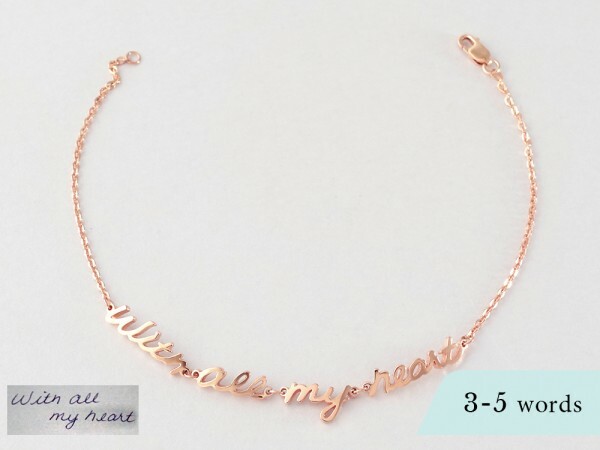 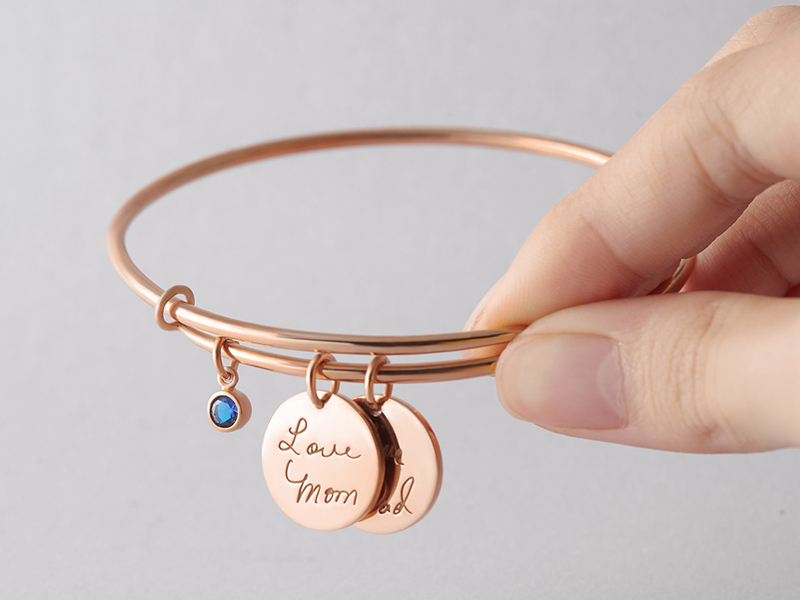 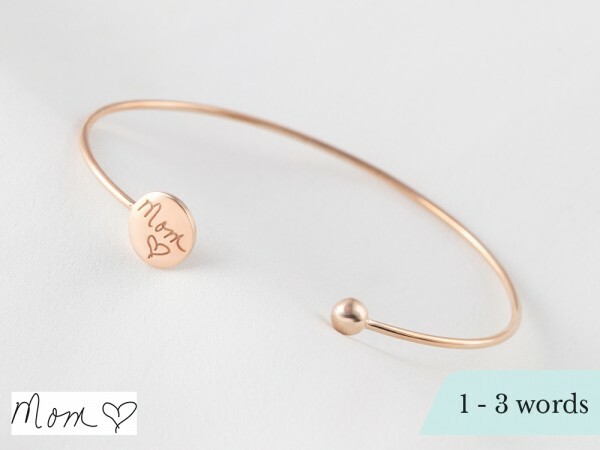 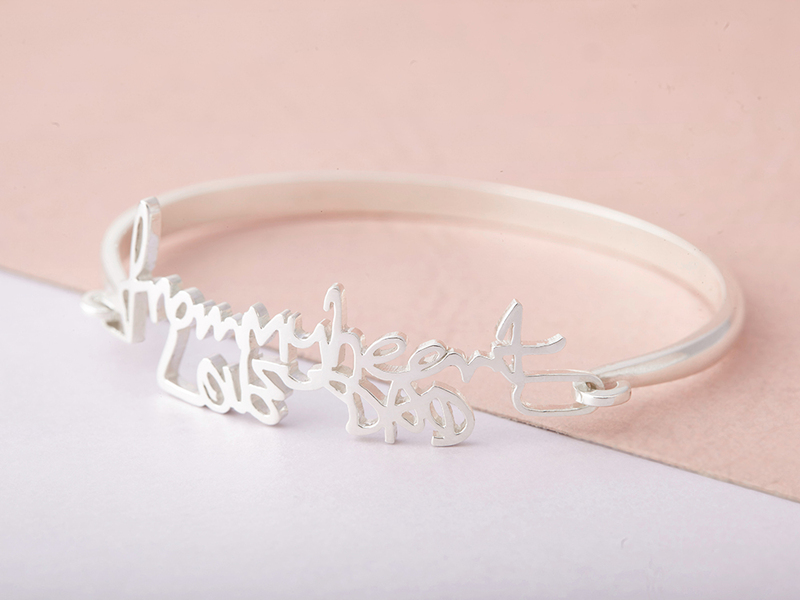 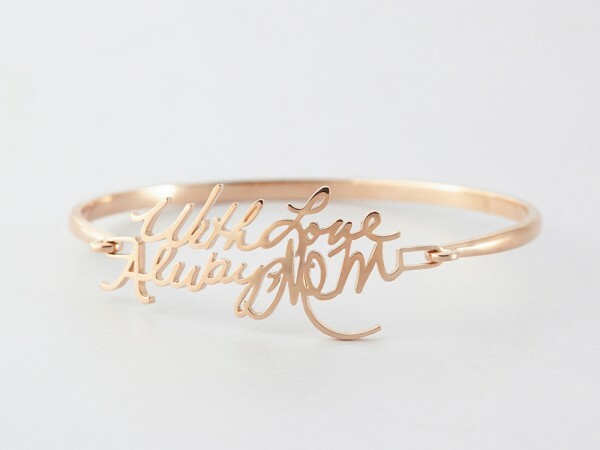 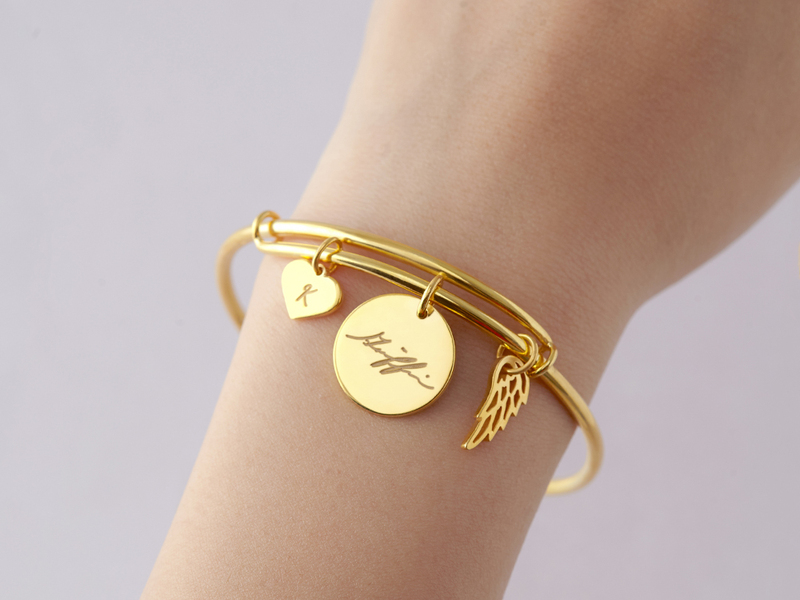 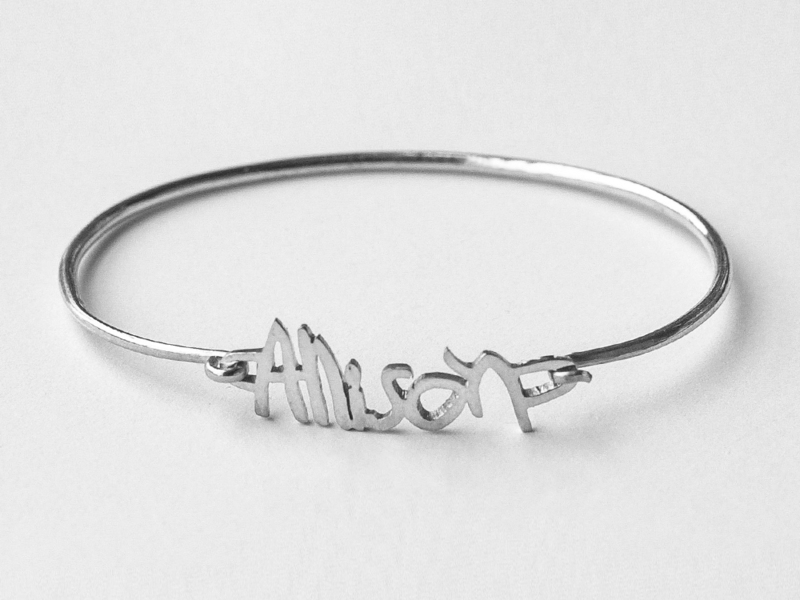 With a loved one's actual signature made into a bracelet, you can hold him or her close. 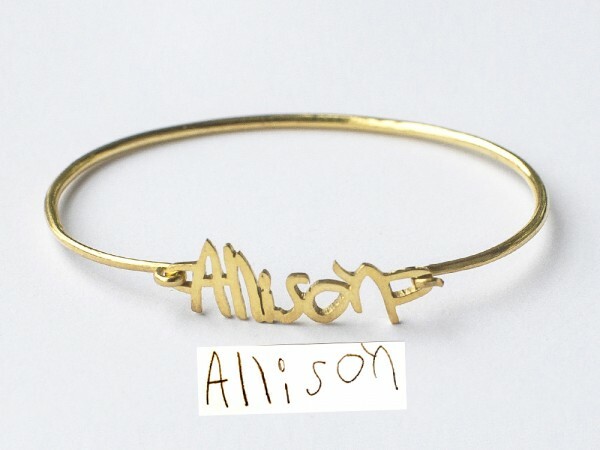 The signature will either be engraved or cut into our our bracelets, which are made from sterling silver with 18K gold plate options. 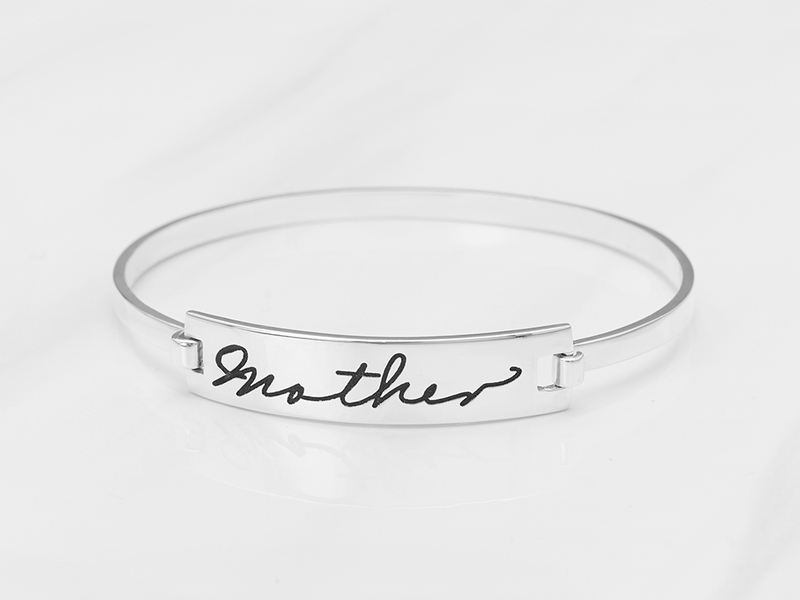 Perfect as gifts for moms, daughters or the entire family, they are thoughtful, modern gifts for any occasion, from Christmas to Mother's Day.